Different material master records and numbers to those in the main global SAP system were being used at the Ulm location. A harmonization of material management across locations was necessary. 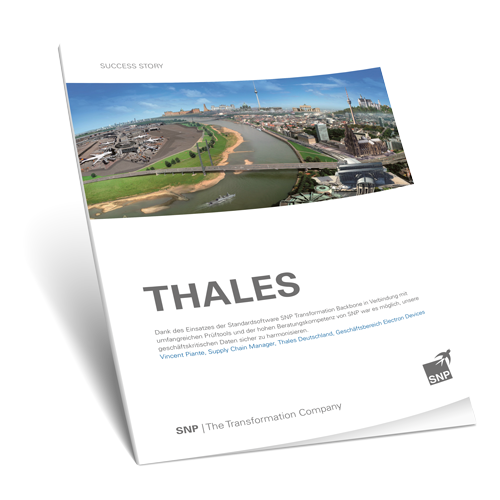 Thales used the SNP Transformation Backbone® solution to secure the harmonization of material management in the SAP system.